Powered by Microgaming software, Gold Factory is an extraordinary video slots for a number of reasons. To begin with, it has 50 paylines which translates into faster and higher payouts. Gold Factory has a three level bonus game on the second screen called the “Boiler Room Bonus”. Without a doubt its best feature. 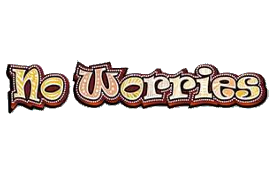 When three or more gold medallion symbols make their appearance any place on the reels the Boiler Room Bonus feature is triggered. This will take you to the gold factory where you must pick four out of the twelve hoppers. Liquid gold will then flow from the hoppers to the mini train awarding bonus credits and perhaps special tokens. The latter also triggers two additional bonus levels. The free spins token opens up the Free Spins screen. 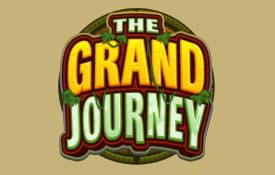 The player must hit a spin button which reveals a random number of free spins between 10 and 35. 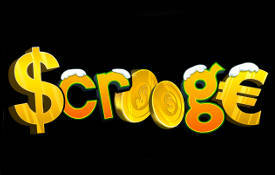 During the free spins feature all payouts are doubled. The Reactor Room is the second additional bonus, constituting a different section of the gold factory. Equipment that feature in it displays 12 chambers with which the player must interact, wins credits until a malfunction token appears. The bonus round is now terminated and you’ll be taken back to the Boiler Room to finish the original bonus game. 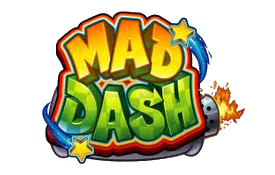 The main game is great since it offers a plethora of interesting symbols and flushed with top-notch audio visual effects. 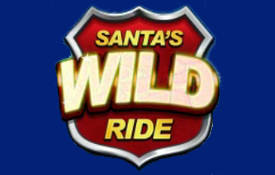 The wild symbol is the “Gold Factory” logo. 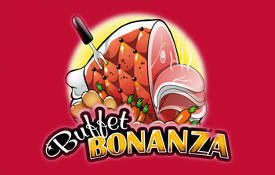 It offers a fixed jackpot payout of 7,500 coins if five of them appear on an enabled payline. The second highest payout of 2,500 coins is awarded by a uniformed character that operates the equipment in the bonus games. Additional symbols that depict the transportation of the gold are a steam locomotive, hot air balloon and the Beatles like yellow submarine. When two or more gold Bonus coin scatters appear any place on the reels payouts will ensure. Three or more gold Bonus Coin scatters activates the Gold Factory Bonus. You’ll note symbols such as a trolley, gold ingots and gold coins at the bottom of the payout table. Gold Factory’s betting parameters includes four distinct coins sizes that range from 0.01, 0.2, 0.05 and 0.10 credits. 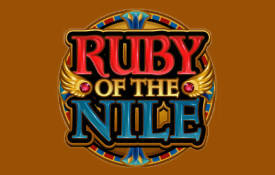 The minimum and maximum golden bets are 0.50 credits and 100 credits per game while playing all fifty lines. The maximum bet per spin is 100 credits and 0.01 is the minimum bet per spin. In the base game the maximum/total payout is 150,000 coins or 15,000 credits. In the free spins feature the maximum payout amount is twice this. In total there are 50 paylines and 20 coins can be wagered per line. The Gold Factory pays out when symbols line-up from the left reel to the right, except for Bonus Scatters which can play anywhere. 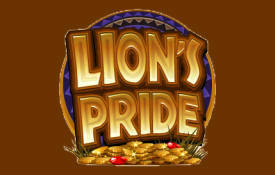 If five Bonus coins make their appearance, 50,000 coins are awarded-this constitutes the jackpot! If you are looking for a slot machine that is replete with free spins, scatters and wilds then we recommend Gold Factory. It can take a while before you reach the bonus round. Unfortunately it does not offer a progressive payout. Otherwise highly recommended. 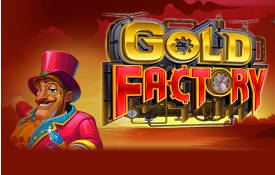 We recommend you play Gold Factory at these Microgaming Casinos.